I am off traveling a lot for work this month so I asked my very good friend Chan from LikeCupCakeChan to guest post for me. 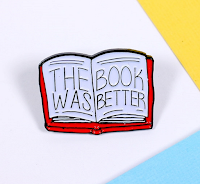 Chan is a huge fan of pins and she has definitely got me hooked on them, or should I say pinned ;) Sorry, lame jokes aside here is Chan's top 5 pin picks for book lovers, and if you enjoyed this post make sure to check out her blog where she has a weekly pin post! 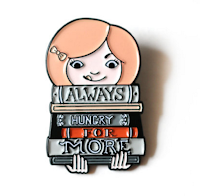 When Kelsey asked me to guest post for her book related blog I couldn't help but be excited! I've started collecting various enamel pins lately and I've seen so many awesome book related ones that I can't wait to share with you! 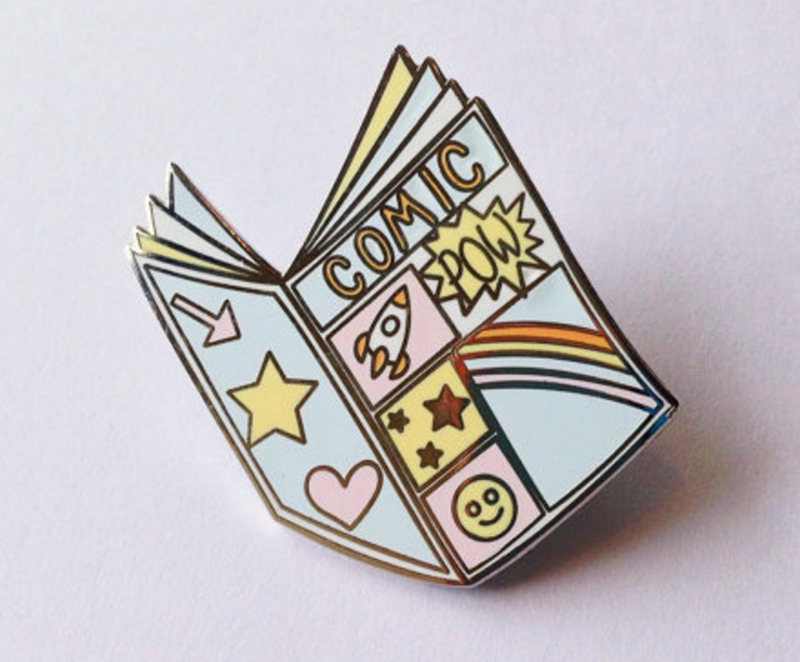 These pins are perfect to accessorize your jacket, backpack, shirts, pinafores or dungarees I've got pins on pretty much all of my clothing now so leaving the house without one would be a crime. 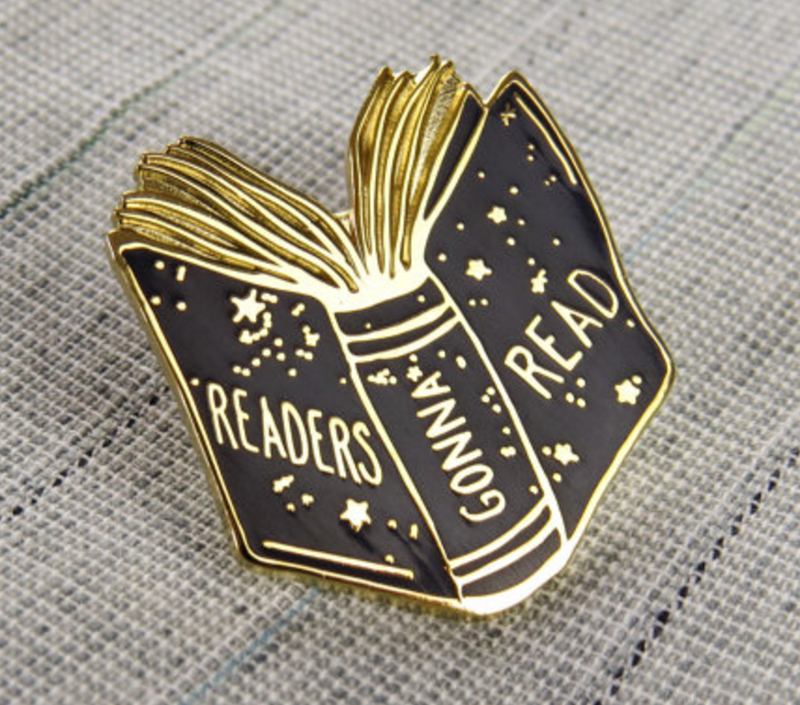 I also plan ahead with pins so if I know there's a particular day or event coming up I will wear certain pin(s) on that day, it's pretty cool walking around in a fully themed outfit. 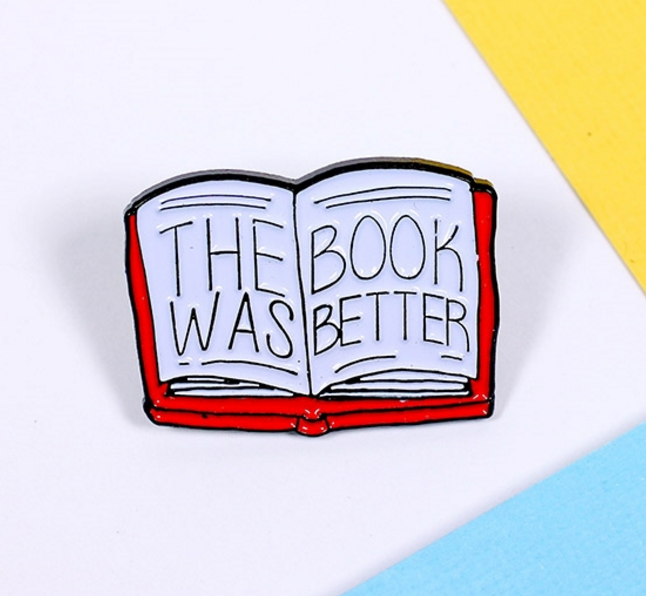 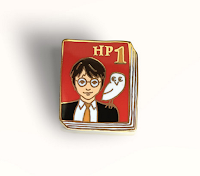 and they have this super awesome The Book Was Better pin. This is my personal favourite because i've heard many of my bookworm friends say this!